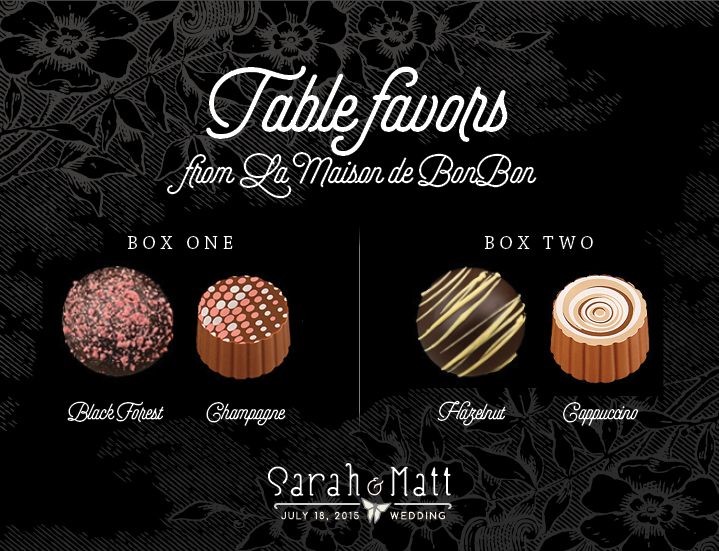 At every place setting will be a box of chocolates from the local gourmet chocolate shop, La Maison de BonBon. 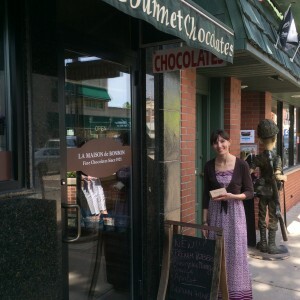 Just one and a half miles from Sarah's condo is a tiny little shoppe that sells all sorts of truffles. Sarah and I had great pleasure selecting the various flavors of chocolates. 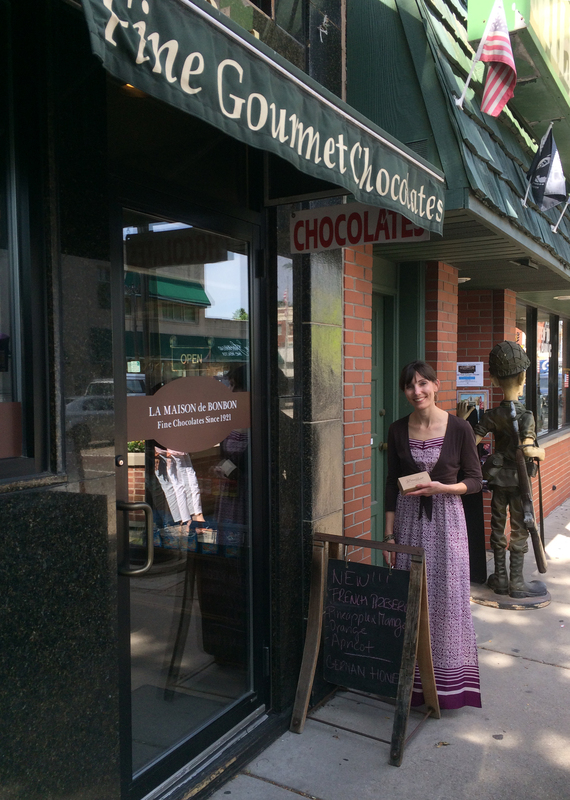 The owner of La Maison de BonBone was very generous with her samples. We finalized our picks both on taste delights and visual appeal. There are so many wonderful flavors that we opted to give two different sets of chocolates. In box one we have the rich dark chocolate Black Forest with a milk chocolate Champagne. Both chocolates feature pink decorative designs. The festive Champagne has an artisan body with a fun round bubble design. Box two is my personal favorite boasting Hazelnut and Cappuccino. These two chocolates feature a yellow and tan design. The combination of Hazelnut with a dark chocolate body is Sarah's favorite. The Cappuccino, also an artisan truffle, proclaims a round swirly design, much like you are drinking a cup of cappuccino--only encased inside a milk chocolate shell. And now that you have read this post on the SomersMaldre blog, you shall have the inside scoop on which truffle is which flavor. Show off your knowledge on July 18th while you celebrate the wedding of Sarah and myself! mmm…hazelnut…I think I will con Steve out of that one if he gets it!